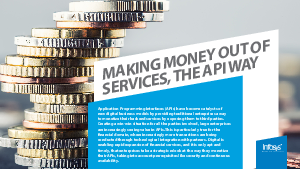 APIs are a convenient way for enterprises, particularly in the financial services domain, to monetize their services with minimum expenditure. However, making sure that the APIs are always available, scalable, and secure is vital for the API economy to truly realize its potential. A major financial services firm built an API platform to earn revenue by exposing its backend functions, but needed a partner to make sure the platform was well supported and available 24/7 to partners and developers. See how Infosys helped and the five key takeaways from the project.